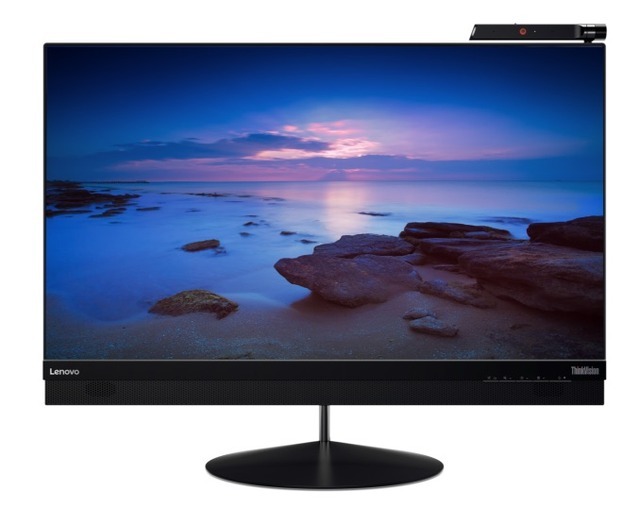 Lenovo、CES 2016でUSB-Cを採用した27インチ4Kディスプレイ「ThinkVision X1」を発表。 | AAPL Ch. The second display is the 27-inch ThinkVision X1. If you’ve noticed, it shares the X1 branding with the ultra-thin laptops and tablet lineup from Lenovo, and for good reason. The ThinkVision X1 is just 7.5 mm thick. This display steps up the resolution to 3840×2160 (UHD) and it also offers the single USB-C docking ability. DisplayPort 1.2 supports UHD at 60 Hz, so this resolution will be no problem. It is also a borderless model (once again, nearly, with 2mm bezels on the top and sides), and the display is the first monitor to receive the TUV Eye-Comfort certification.